In this Thursday, April 19, 2012 file photo, a worker walks at the site of Lynas rare earths plant under construction in Gebeng, eastern Malaysia. The customs war between China and the United States has affected countless facets of the world economy, but the consequences for the trade in rare earth elements, little-known minerals critical to the functionality of cellphones, electric cars, and televisions, may reverberate the farthest. Malaysia, whose concerns over falling into China’s sphere of influence have only grown with the ascent of Malaysian Prime Minister Mahathir Mohamad, once seemed well positioned to seize a small but lucrative piece of this market for itself. In recent months, though, Mahathir has signaled his willingness to listen to environmental organizations opposed to refining rare earths on Malaysian soil. How Mahathir proceeds will set the tone for the environmental movement in Malaysia for years to come. The ubiquity of rare earths has provided China a potential source of leverage over the United States where many technology companies depend on this obscure natural resource. China supplied over 80 percent of the world’s rare earths in 2017, including 78 percent of the United States’ imports. In October 2018, China moved to decrease its exports of rare earths, sparking concern across the Western world. These warning signs of a Chinese decision to withhold rare earths inspired a search for alternative suppliers. While countries from Australia to the United States possess sizeable reserves of rare earths, most lack China’s greatest asset: the infrastructure necessary for the complex process of refining them. A solution seemed to appear in the form of Lynas Corporation, an Australian company operating the largest refinery for rare earths outside China. Located near the Malaysian city of Kuantan, the refinery helped Lynas market itself to Western tech companies distressed by a Chinese monopoly. All the while, Malaysian environmentalists warned of radioactive waste, the refinery’s dangerous byproduct. Lynas has faced opposition from environmentalists and some politicians since 2011, a year before its refinery even commenced operations. Many environmental organizations feared that Lynas’ corporate adventure might fare no better than an attempt in the 1980s by Mitsubishi Chemical Corporation, which left a trail of radioactive waste near the Malaysian city of Ipoh after the Japanese company’s failure with rare earths. Malaysian environmentalists gathered in Kuantan to protest Lynas in 2012. Long ignored by former Malaysian Prime Minister Najib Razak, Malaysian environmental organizations found a more receptive audience with the election of Mahathir in May 2018. Mahathir proved more attentive to the worries of environmentalist constituents than his ill-fated predecessor. News agencies began reporting on September 24 that Malaysia was organizing a committee to conduct an environmental impact assessment on Lynas’ operations. 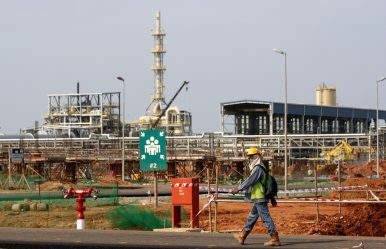 For its part, Lynas voiced concern that the committee might include appointees long critical of the refinery in Kuantan. On November 27, Lynas indicated that it would halt operations in December if it failed to receive approval from Malaysian authorities, noting the “volatile political environment” in Malaysia. On December 4, the Malaysian Energy, Science, Technology, Environment, and Climate Change Ministry informed Lynas that it would have to remove all the radioactive waste that had accumulated at its refinery over the past six years if the company wanted Malaysia to renew Lynas’ license to operate. In effect, the announcement began the shutdown of which Lynas had warned in November, a victory for environmental organizations. Lynas employees are now pleading their case to the Malaysian Parliament, and Lynas has even gone as far as taking to Twitter in an attempt to sway public opinion in Malaysia. Mahathir’s apparent resistance to an opportunity to break China’s monopoly over the market for rare earths might strike some as surprising. He characterized Chinese attempts to integrate Malaysia into the Belt and Road Initiative as “a new version of colonialism” during a visit to Beijing. Environmentalists have also proved less than enthusiastic about Mahathir’s lackluster environmental policy. Whatever the reasons for the Lynas refinery’s mounting challenges, the growing likelihood of its closure offers hope for environmental organizations in Malaysia and the rest of the Global South. As the United Nations’ pronouncements on the dangers of climate change grow more dire by the day, Malaysian environmentalists’ successful push to prioritize the environmental movement over economic development could act as a model for their counterparts in developing countries hard pressed to achieve sustainability. As far as the battle over rare earths goes, breaking the Chinese monopoly will have to wait.